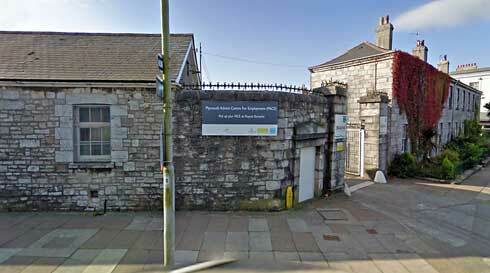 Picquet Barracks is located on the southern side of Cumberland Road, just a few metres from Cumberland Gardens. It was originally part of a small group of of military buildings and stables built between 1789 - 1811 on the opposite, northern, side of Cumberland Road. That group of buildings became the Horse Artillary Barracks in 1823 and by 1838 the name had changed to Picquet Barracks. In 1865 Picquet Barracks was rebuilt on the southern side of Cumberland Road, to its present site, since the original group of buildings were either demolished or re-used when Raglan Barracks was built. 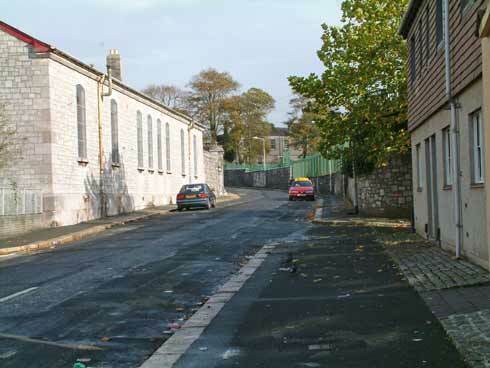 The barracks, with its walls of local limestone and brick, and retaining many original roofs, doors and windows, is recognised by the city council as of historic significance to Devonport, reflecting local military history, and thus is embraced within Devonport's Conservation Area. The council are also considering the entire plot for statutory listing with English Heritage. It is, in the council's terms, an important military group. Rear of Picquet Barracks in Pembroke Street. In June 1986 newspapers announced  that the government would sell to Plymouth City Council two MoD sites in Devonport, one was the Ocean Quay site the other being Picquet Barracks. The sale price to the city, for both plots combined, was £50k. Upon taking over the barracks the city let it initially to Manpower Services Commission for its community programme for the long-term unemployed. The barracks continued to be used for unemployed persons, under various government schemes, for about two decades, before it was acquired as a marine skills training centre. In 2006, following investment of £762,000 from the South West Regional Development Agency,  a Marine Skills Centre was opened at Picquet Barracks by Marine South West. On leasing the barracks from the city council for a five-year term, Marine South West converted the buildings to operate as a specialist training centre, including marine and electrical engineering, carpentry and welding, plus business skills such as sales, marketing and business management - all with recognised qualifications. The purpose of the centre was to improve access to marine training for the many local marine businesses in the area. In April 2008 EC Commissioner, Jo Borg, attended a special event at Picquet Barracks. He launched a 'section' of a steel ship - a replica of a hull, purpose-built to scale, to provide hands-on training to students of the Marine Centre. The hull was installed, craned in actually, to ensure students had access to the very latest training and technologies - such was, and still is, the importance of the marine sector to local and regional economies. The section of ship was built at Appledore Shipyard and based on designs for the frigate HMS Scylla - it was donated to the centre by Babcock Marine. Devonport Regeneration Company provided a grant of £25,000 toward installing the ship's section - this contribution was to allow the centre to work more closely with the Devonport community and increase residents' access to the marine labour market. March 2009. The City College at Kings Road, Devonport announced it would take over Picquet Barracks by purchasing the Marine Skills centre from Marine South West. The college recognised (a) the need to bring together key local players in the Marine sector, including Princess Yachts, the University of Plymouth and Babcock Marine and (b) that marine training was vital for the marine industry and for the city. The College training is of equal quality to that previously provided, with the partnering and networking of employers as equally prominent - in fact, the only difference appears to be in the change of name. It's probable that Marine South West decided to close in view of knowledge that their funding streams would soon dry up. i.e. that South West RDA, their financial backer, would be closed by government in the not too distant future, which did indeed happen. Article in the Western Evening Herald, 12 June 1986, page 5. Known by me to have been married quarters until at least 1957-58; my school friend from nearby Mount Wise Primary lived there, and her dad was in the army. I was aged about nine or ten and would sometimes go to her house after school.